There are no more tickets currently available for this event. Keep an eye on the event and turn your notifications on to be notified if any more tickets become available. If you have purchased a ticket and are now unable to come, please contact us so we can pass your ticket on to someone else. 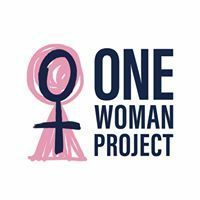 Join the One Woman Project for this exciting four-week series on How to Run for Office. This series will feature workshops, panel discussions and keynote speakers covering everything from the background to Australia’s political system, to the intricacies of running at a local, state or federal level, to the steps you need to take to deliver a successful campaign! The first session will be an in-depth workshop detailing the history and background to Australia’s political system, a detailed look at the major and minor parties, and the differences between running as a party member or an independent. 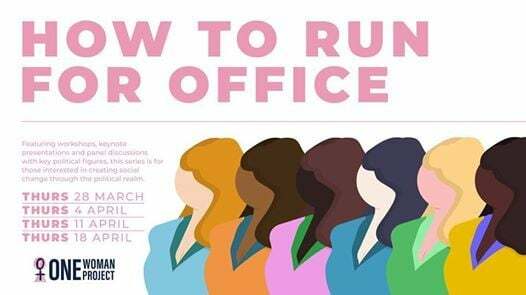 This second session will kick-off with a panel discussion featuring prominent politicians and candidates (including Councillor Kara Cook - Morningside Ward and Bridget Clinch) providing the full details of running at a local, state or federal level. 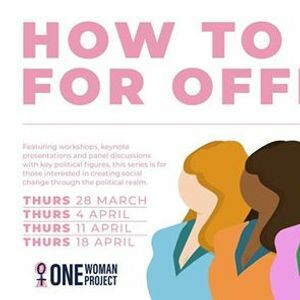 Following this will be three mini workshops on campaign skills with expert grassroots campaigner Amy MacMahon, media training with PR pro Kristin Perissinotto, and community engagement with OWP's own Madeline Price. Session 3 will feature a panel discussion (with exceptional politicians including Larissa Waters) detailing their top tips for winning one - or more - election campaigns. Wrapping up, the series will have a keynote presentation from long-time politician and gender equality supporter Senator Claire Moore on her experiences in politics and the value of leadership. If there is any way this event can be made more safe, accessible or inclusive for you please contact us via aW5mbyB8IG9uZXdvbWFucHJvamVjdCAhIG9yZw==. If you are currently unemployed, underemployed or are struggling financially, we do offer equity tickets to all of our events. Please contact us at aW5mbyB8IG9uZXdvbWFucHJvamVjdCAhIG9yZw== and we can provide financial assistance to ensure you have equal access to this event. This event will take place on the land of the Jagera, Yuggera, Yuggerapul and Turrbul people and we acknowledge that sovereignty was never ceded by the First Nations custodians. This always was, and always will be, Aboriginal land.